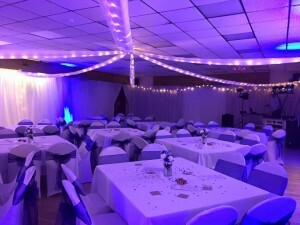 Chilton is lucky enough to have two superb venues which are perfect for many activities from birthday parties, weddings and community events to exercise classes, clubs, corporate meetings and more. To hire either venue for your next event, see details of our facilities below and then go to the Bookings page for details on how to book. We welcome both one-off hires and new regular hirers. Chilton has easy access to the A34 and is close to Harwell Campus, Milton Park and Didcot. 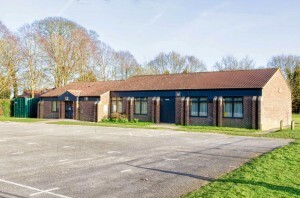 Our hire charges include heating, lighting, electricity and full use of kitchen facilities, plus the use of a number of additional facilities in each building. Please ask for further details. A spacious, bright main hall which can comfortably accommodate 150. We have 128 comfortable folding chairs and 30 folding tables, each of which can seat up to 6. We also have 2 larger buffet tables and children’s chairs (8 junior, 8 pre-school) and tables (4). All furniture is stored and transportable on trolleys, and there are store cupboards for all the furniture if an open empty space is required. There is direct access to the kitchen via a shuttered serving hatch. 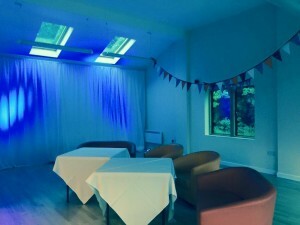 Included in the hire fee, there is the use of a foldaway white projector screen, a PA amplifier and speaker system, plus disco lights. There are suitable power sockets for audio visual equipment and the hall has an audio loop for the hard of hearing. Dimensions 15.5 x 9.1m, 141 msq. 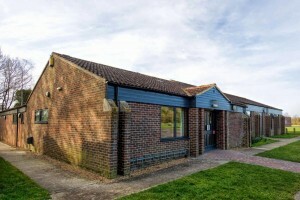 The Village Hall has been extended with the addition of a second hall. This room is very light and spacious and perfect for slightly smaller gatherings. 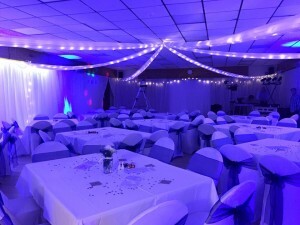 The room can accommodate up to 50 and has tables and chairs available as per the main hall and these can also be stored in a cupboard if an empty space is required. There is direct access to the kitchen via a shuttered serving hatch. Locker space is available if needed for regular hirers using the Small Hall. Dimensions 8.15 x 6m, 49 msq. This pleasant, bright separate meeting room has 10 chairs, 2 long tables and a whiteboard. It can accommodate up to 20 with a folding chair layout and is equiped with an audio loop system for the hard of hearing. Dimensions 4.4 x 4.17m, 18.3 msq. 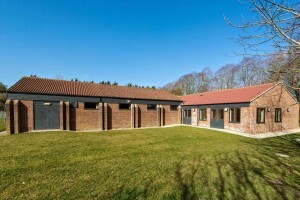 The premises now has a fully refurbished and enlarged kitchen, with serving hatches to both Main Hall and Small Hall. It features a new electric cooker, microwave, 2 twin-sinks, hand-wash basin and 2 refrigerators. The kitchen is well equipped with cutlery, crockery and kettles/hot water urn and flasks. 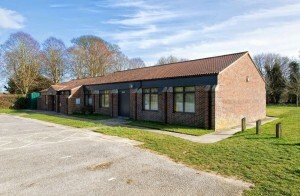 The hall also has new toilet facilities including a separate disabled toilet, nappy changing areas (2), and an enlarged lobby/cloakroom with ample coat hooks. There are individually controlled heaters, and timer-controlled room and water heating is included in the booking fee. The use of the halls’ electronic keyboard is possible by prior arrangment inclusive in the hire fee. 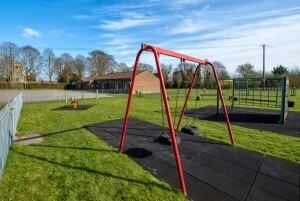 Within 50 metres of the hall is a fenced playground and swings for young children, plus the Chilton Active play area, featuring a slide, circular swings and zip-wire for older children. 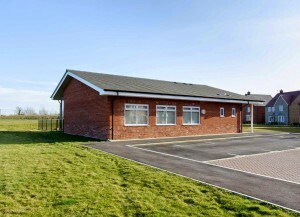 Our Community Room is an attractive and practical venue for social gatherings, meetings, family parties and activities requiring a smaller space. 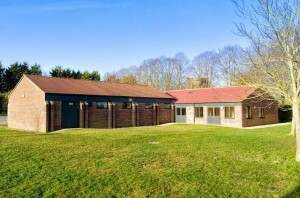 It is located in a quiet setting on the Chilton Field development. There is a tarmac car park with spaces for approximately 12 cars. The rear of the community room opens onto a small enclosed children’s play area and is surrounded by an attractive green space.